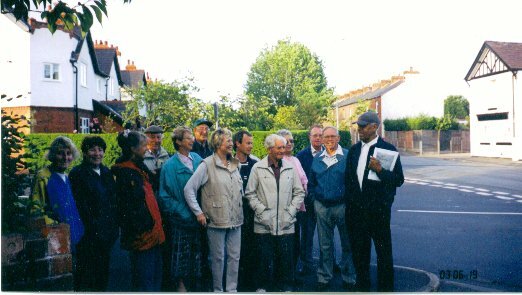 Formed on 5 Sept 2002 the group now has a membership of over 100 with typically 50 attending each monthly meeting. The Group is affiliated to our national BALH and to the Cheshire Local History Association. It has good links with other local groups and with the Cheshire Records office and with Chester History & Heritage. The Group has published a major Upton History book and more projects are planned. It has run three successful exhibitions - the first in Mar 2004 held in our Village Hall, the second during the Book Launch in 2005 and the third in 2007 - a w/e event based in Newton & Upton. Annual Membership is open to everyone - �individual; �family membership. Nostalgia walks with Eddy Edison.